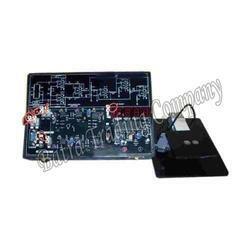 Our range of products include led tv trainer kit, lcd tv trainer kit, analog and digital trainer kit, tv trainer kit, load cell trainer and pcb etching machine. The complete circuit of Remote Colour T.V. is printed on single PCB. Micro switch for faults creation. Section wise different coloured screen printed circuit on the PCB for easy understanding of functions of different sections. Explanation, Observation, Alignment and adjustment of internal and External controls is possible at a glance due to single PCB. Easy identification of different parts of Remote COLOUR TV at a glance. Easy measurement of Vol tages and observat ion of waveforms at any point . Also typical vol tages and waveforms are provided. 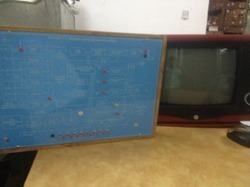 The whole circuit of Remote Colour TV is explained sectionwise in detail in the manual. On board ports like USB, VGA/PC Input, AV Out, Ear Phone etc. Enclosed in an attractive wooden cabinet. Operation / instruction manual with suitable accessories. Backed by a team of dexterous professionals, we have been able to offer our clients with LCD TV Trainer Kit. For easy understanding of functions, the offered kits are developed with perfection by our team of engineers to leave no scope for defects. Moreover, these trainer kits are provided in different technical specifications to meet the demands of esteemed customers. Construction of each module, screen size 15 inches video input, confirming to Indian TV standards. On board ports like VGA/PC Input, AV Out, Ear Phone etc. 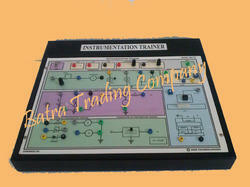 With the firm commitment towards quality, we are engaged in manufacturing and supplying Analog and Digital Trainer Kit. 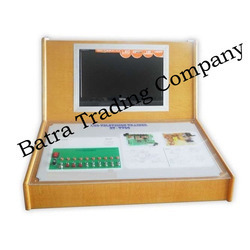 Used for performing experiments on electronics, the offered kits are developed without compromising on the quality of the products. Also, we pack these kits properly in wooden cases to ensure safe dispatch. 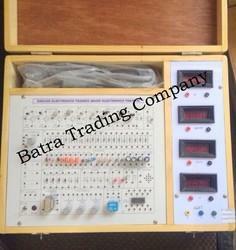 We are engaged in manufacturing, exporting & supplying a distinguished range of TV Trainer Kit. Demonstrate the principle and working of load cell and its applications for measuring load 0-2 kg. Built in I.C. 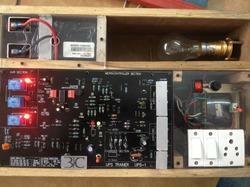 based DC regulated power supply with short circuit protection and LED indication for supply ON. Bridge made up of 4 strain gauges mounted on a specially alloy materials type load cell. Built in excitation voltage for the bridge. Built in 3.5 digit seven segment display for direct reading stain in Kg. Built in highly sensitive signal amplifier. Different loads provided for building up of load. Set of patch cords & instruction manual. Fast single and double sided PCB etching. Useful etching area : 250mm×300mm (10"×12"). Tank Capacity : 20 Liters. Heater and air flow compressor. 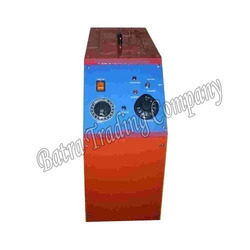 Heater : Titanium-non corrosive with thermostat control. Leakage proof Poly Propylene tank. Electrical Power : 230V/50Hz, 15 Asocket required. Our clients can avail from us a comprehensive range of PCB Etching Machine, which is widely demanded in various industries. Riding on unfathomable volumes of industrial expertise, we are engaged in offering an excellent assortment of UPS Trainer Kit. Red Ideally suited for simple, clear & easily comprehensive assemblies for interference, diffraction and holography experiments. The laser is constructed is such a way that is safe to use under any circumstances. 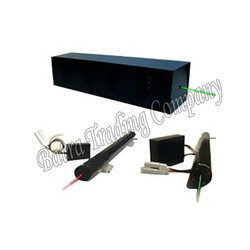 Laser tubes along with SMPS Power supply are housed in thick powdered coated aluminium Box. From the hole, the laser beam comes out. Min. Operating Life time	:	15,000Hrs. Our company has mastered the art for providing Vernier Calliper to the clients. 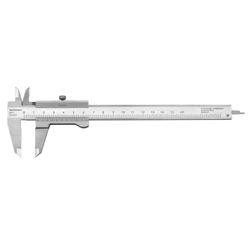 This product is widely acclaimed by customers for robust design and dimensional accuracy. Vernier Calliper is designed and manufactured in line with industry quality standards utilizing supreme quality components and advanced technology. Vernier Calliper is offered in various technical specifications as per clients needs. This product delivers accurate readings and results. Looking for Electronics Instruments ?